The students were presented with copies of their own book at a book launch this morning. The students met the illustrator Hugh McMahon and were delighted to receive copies of their book to treasure. 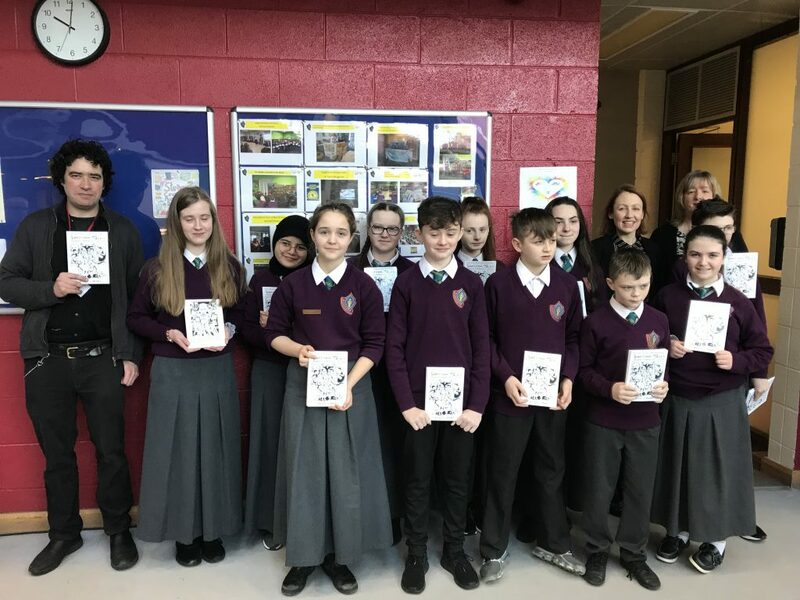 The event was attended by the students, their parents, teachers and our principal, Ms Norma O’Brien who warmly congratulated the students on becoming published authors. The book will soon be available as an e-book on the JCSP Digital library reserve for all post-primary students to read nationwide. Well done to all involved!